Best Cup to Keep Drinks Cold! Keep your drinks cold and crisp for hours! Whether you’re a hiking and outdoors enthusiast that loves to spend time out in nature or you live in a seasonably warm place where having ice cold water on hand is always a necessity, you’ve probably been searching high and low for the proper water bottle or Thermos travel mug that can keep your drinks icy cold all day long—and we’re happy to let you know that there are a number of awesome options you can choose from! It’s ultimately going to come down to just how long you want to chill your drinks and your budgetary guidelines. No matter what your personal preferences might be, you can definitely find what you’re looking for in an insulated beverage bottle right here! 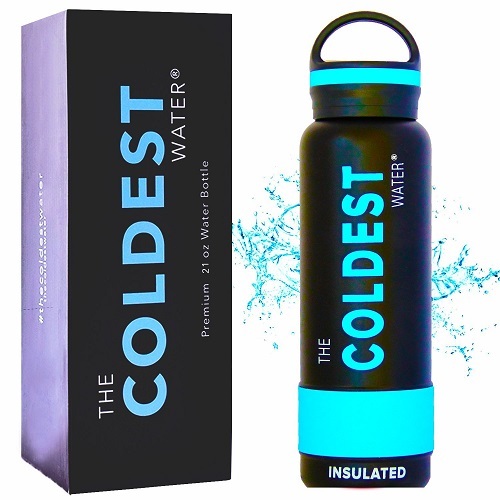 With more than 1,500 glowing reviews, you can’t go wrong making an investment in the Coldest Water Bottle! Boasting a chill time of up to 36 hours, this is one of the only water bottles of its kind and ensures cold water at the ideal temperature or whatever you prefer drinking and whenever you need it—it’s like the perfect travel drink refrigerator! Outdoor enthusiasts will fall in love with this cool flask that can last even longer than your longest journeys! Its universal fit should slide easily into most cup holders and the moderate price point will fit into most budgets. It’s got a nice size and weight to it, so you should be able to stay hydrated all day long without any worries. It comes in a variety of cool colors to fit your mood and attitude and the never-sweat technology will keep this bottle from leaving a trail of condensation. The leak-free cap and rubber grip will keep accidents and spills from happening and it can easily withstand damage of almost all kinds. There are not many other bottles that can advertise such a lengthy chill time so you can’t go wrong here! 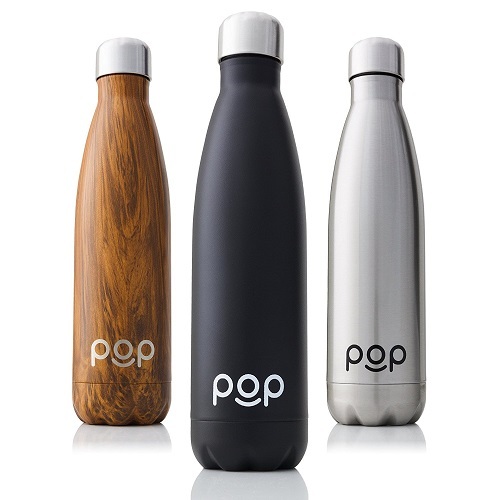 POP Design has created some amazing water bottles that have a designer feel to them. They will keep your hot drinks piping for 12 hours and your cold drinks cold for up to 24 hours! They have both 17-ounce and 25-ounce capacity water bottles available for purchase and they offer a number of unique colors and finishes to best reflect your personality. This water bottle comes equipped with a scratch-resistant, easy-grip coating and the vacuum-insulated wall construction is condensation-proof as well. The BPA-free stainless steel resists taking on the flavors of your beverages so you’ve got a clean taste each and every time you use it. Worried about losing the cap to this pretty thing? Luckily for you, the POP Design team offers fast and free cap replacements! If your budget is the biggest worry, then you’ll be happy to see the price tag attached to POP Design’s offerings. With a 100% satisfaction money-back guarantee, the good folks at POP believe wholeheartedly in each product that they sell and they’re dedicated to providing the highest quality of goods possible. With 14, 18, 24, 32 and 40 oz. fill capacities, the Takeya Originals bottle has cool and trendy design features that make it both beautiful and easy to use. It keeps your cold beverages as cold as ice for an entire day and it keeps hot beverages heated and insulated for 12 hours. The wide mouth spout allows you to take large, refreshing sips, and the cap itself twists and locks into place to keep the occurrence of spills to a minimum. The flavor-resistant stainless steel won’t adopt the flavors of previous beverages and there’s a number of stunning colors to choose from! The convenient carrying handle feels good in your hand and the powder coating on the bottle resists scratches and wear and tear with no problem. With more than 14,000 reviews currently posted about this product and more than half of those reviews touting 5-star ratings, there’s a Takeya water bottle out there for you within whatever budgetary restrictions you’re up against. 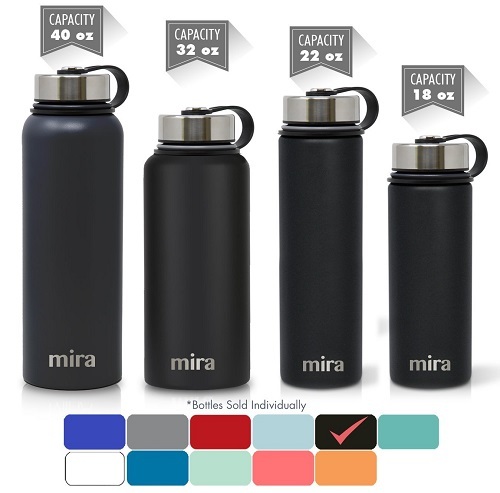 The MIRA brand offers two 18 oz. capacity bottles—one that’s standard and another that has two caps—22, 32 and 40 oz. water bottles for purchase. It’s double-walled, vacuum-sealed construction keeps hot drinks hot for 12 hours and icy drinks ice cold for an entire day. It’s like drinking a hot or cold coffee or tea or a cool and refreshing drink with ice cubes like you’ve just taken it out of the cooler. 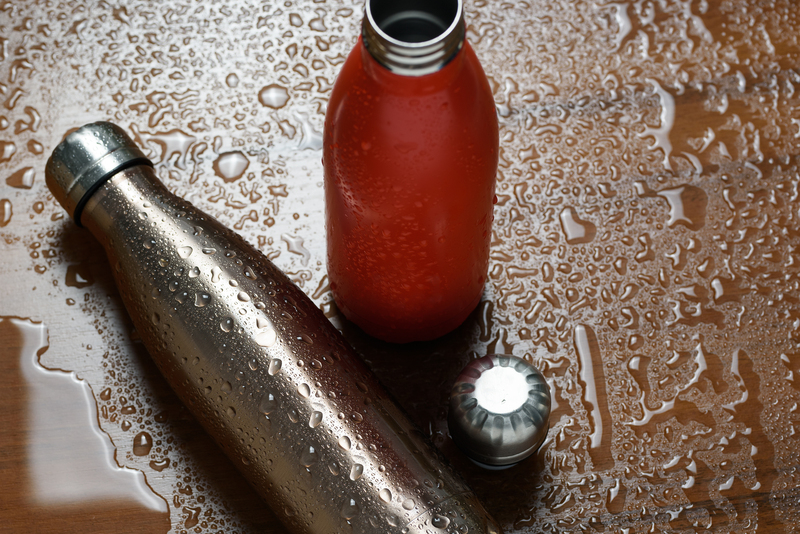 Unlike a glass or plastic bottle, you won’t be able to break this baby, either! It’s got a wide mouth for quick and easy hydration and the bottle loop makes it easy to carry or attach to your bag with no issues. This water bottle is BPA-free and leakproof, so accidental spills won’t be a second thought with this offering. There’s no bottle sweating here either thanks to that sturdy double-wall construction! Whether you’re going out for a day-long hike or you just want to make sure you stay hydrated while you’re out running some errands, you’ll love the price and craftsmanship of MIRA water bottles! With a 32 oz. and a 40 oz. 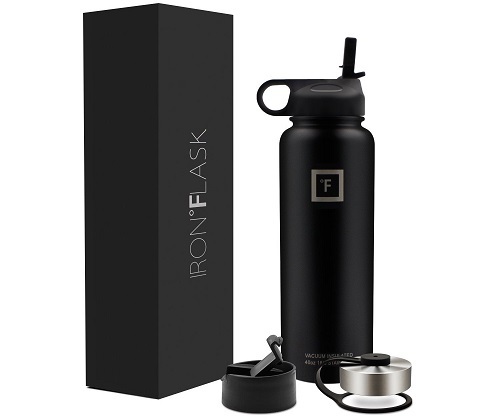 size available for purchase, the Iron Flask is a moderately priced with a designer-inspired look. One of the biggest pluses to this offering is the 3 separate lids that come included with it: a stainless steel lid, a straw lid, and a flip-top lid so you can drink via whichever method is easiest for you. One of the only drawbacks to this one is the fact that it’s not dishwasher safe so you’ll only be able to wash it by hand.